What happens when you really love primates and Jazz improvisation? suffice to say there’s an “in” and our primate pal very much wants to exit it. 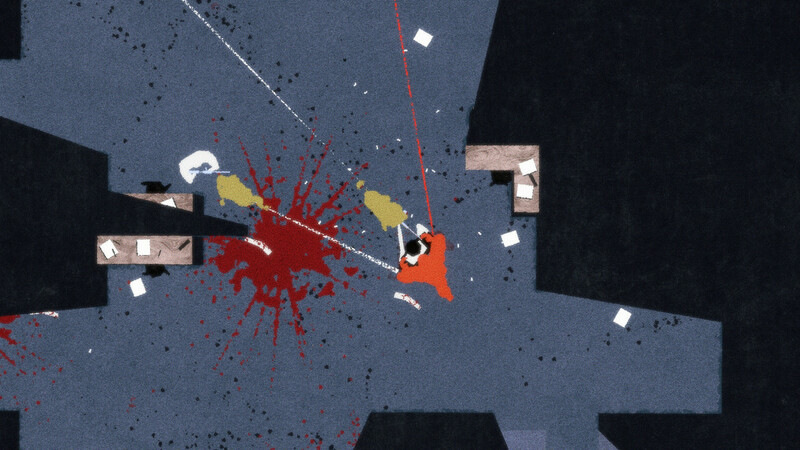 Ape Out is a top-down smash-’em-up in which your job is to control the titular ape as he attempts to escape. Exactly where he’s escaping from, and to varies with each of the game’s different chapters, but suffice to say there’s an “in” and our primate pal very much wants to exit it. Escape is achieved by moving your character to the exit of each level (and a chapter has many levels - there’s quite a bit to do) while either avoiding or obliterating the ape’s armed enemies. Apey (he needed a name, so I gave him one) will spend a lot of time shoving his aggressive opponents away; if “away” is also “into a wall”, the aggressor will typically explode in a fountain of blood. You can leverage this basic core mechanic to also weaponise enemies (i.e. 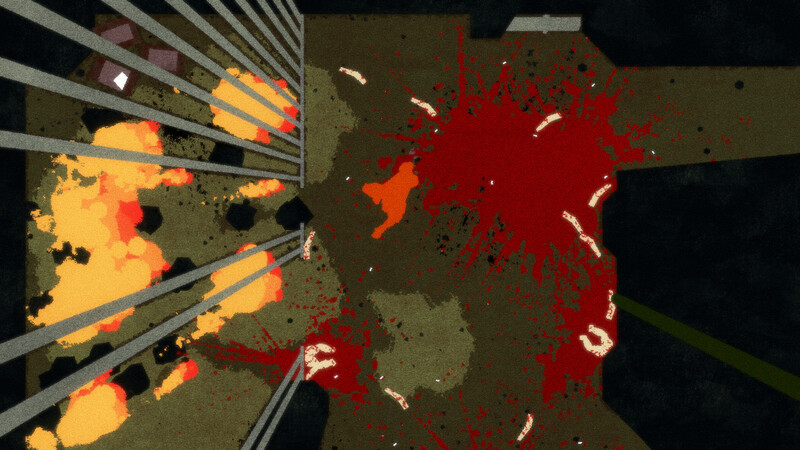 fling them into other enemies) or even toss them out of a window on certain stages. levels are procedurally generated, so thinking on your feet and adapting your plan is very much required. You can also grab an enemy and use them as a human shield - each is typically good for defending against a single incoming shot from one of their compatriots. While holding a foe, however, you move much slower, and speed is typically very advantageous when combating an enemy with a proclivity for firearms. It’s this combination of shield vs. flee and smart use of walls or other environmental objects you can put between you and one of the people with guns that makes up the bulk of the game’s strategy; you can’t really devise much of this strategy in advance, however, as the levels are procedurally generated, so thinking on your feet and adapting your plan is very much required. Added to all of this chaos is the game’s adaptive jazz system; yes, jazz system. 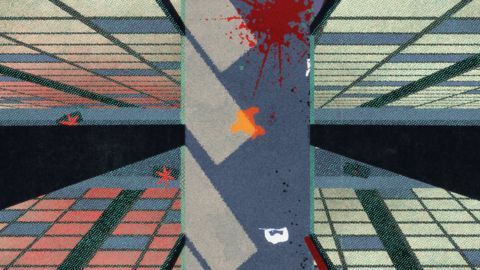 The game’s music is directly tied to your actions, making your decisions not just influential in terms of your character’s survival but also crucial in terms of how everything sounds. Music is clearly not an afterthought in any way, shape, or form, as the game’s chapters are presented as though they’re each different albums - rather than merely levels themed after a certain kind of building that needs to be escaped from. 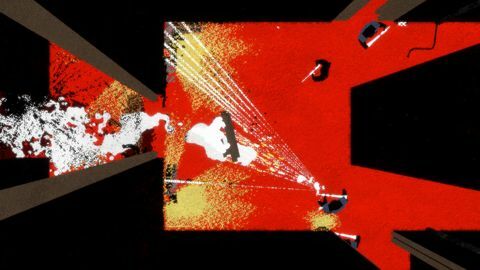 The combination of stylish, simple graphics, brutal enemy obliteration, and a killer adaptive jazz soundtrack is absolutely where Ape Out’s genius lies. If it was less successful in any of these core pillars, I doubt it would work anywhere near as well as it does. Fortunately, the experience is much more than just an audio-visual-gameplay symphony; it’s new and fresh and cool, too. It never really got old for me - likely thanks in no small part to the procedural level generation - and is exactly the kind of bold new thinking that should excite fans of Nintendo’s inventive Switch console. If there’s one thing I’m not sure they were completely successful on it would be the difficulty; this game is proper hard, man, like, holy crap. At one point my wife sensed that I was getting stressed out and she asked if maybe I’d like to take a break - to which I replied “I’d like to snap my switch in half and cut myself with the sharp bits”, which she - correctly - took as a “yes”. Exaggerated amateur dramatics aside, it can get pretty curly at times and the procedural generation can significantly influence how hard (or easy) it is from attempt to attempt. 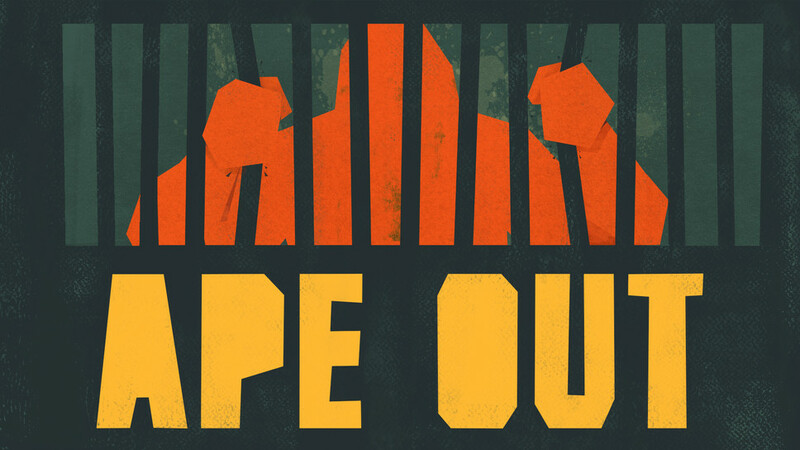 Difficulty aside, Ape Out is all kinds of outrageous and in all the best ways; it’s new, it’s fun, and it’s over the top awesome. Highly recommended. Ups Amazing music integration. Riotously fun, over the top, fresh and new. Downs Gets a bit hard for elderly reviewers.